Community Question: Is 455 HP For The 2014 Corvette Stingray Enough Power? At 455 horsepower and 460 lb-ft of torque (460 hp and 465 lb-ft with the available performance exhaust), the 2014 Corvette Stingray’s official SAE-rated power numbers come in slightly higher than GM’s original estimations. The new 6.2L LT1 engine also as much as 30 more horsepower than what the outgoing LS3 provides in the outgoing C6 Corvette base model, and a more-important power:weight ratio improvement. For the starting MSRP of $51,995, it’s hard to think of any other performance two-seater coupe that comes close to its promised performance figures. For a rival, the closest thing might be the $84,300, which features only 350 hp, and a less optimal power:weight ratio. So, do the power figures of the Corvette Stingray’s LT1 V8 satisfy us? Or are we not entertained? Let us know in the latest Community Question, for which everyone should know what to do by now. People this is the base corvette. 455 hp and 460 lb ft toque and the amount of performance engineering your getting at $52,000 is amazing. Plus they’re saying it will get better fuel economy than the outgoing model. There will be variants with more power, but you need somewhere to start and this is a great start. Stop worrying about the power of the base model. I think David is right on with his comment. The 455 HP engine with 460 ft/lbs of torque is fine for the base car. And though most buyers will not admit it for many of those buyers they could not handle more HP nor will many of them actually take the base car to its limits. But the serious Corvette enthusiast should be able to order a Corvette with minimally 600HP. My concern is the base engine at this point is the only choice and with competition from other manufacturers the high performance version needs to make a very quick appearance. When the new 550 HP Mustang debuts early next year the Corvette needs its Z06 or ZR1 versions to be available. It would be a bit embarrassing to have America’s greatest sports car smoked by a Mustang. The Corvette needs a 600+ HP variant available. For me 455hp. is enough just as long as the torque is at 400 ft. pounds at 1,200 rpm’s and building to 460 ft. lbs. It is worth of noting that the typical Corvette crowd does not buy the car for performance, thus, optional features will quickly make the price of the car balloon up IF the dealers do not place a healthy mark up on the car while it is still new on the lots. Also, those with illusion of performance will easily add a minimum of ten grand to the price, IF they are lucky. They will also add extra 150 pounds to the weight but who cares apparently? As a current owner of 436 hp C6, what possibly reason would I have to spend thousands more to gain less than a decent tune could add to my car. Current LS3 equipped Corvette seems like a considerably better and logical choice than the new Corvette, this is a fact. Commenters are addicted to Euro-tax engine design (tax by liter). If it was the same size, weight, power, and mpg what would it matter if it was 20 liters? This is a small light engine that rocks. If it was clunky or trivial to do, you would see many others like it, but you don’t. 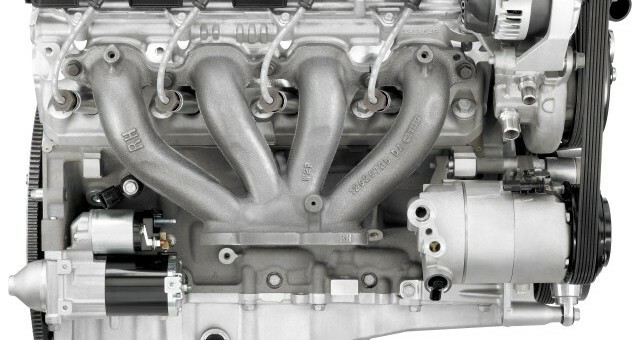 When it was announced, I saw a lot of meatballs suggest that the marginally better performance of the $50k m156 amg motor meant that this engine sucked. Reread that last sentence a few times, and I think you’ll understand my view on that. And as for the heavily-kitted fords, they have poor handling in comparison to this car and are a bolt-on accessory away from being slower as well. So no, I don’t think the shelby is a better buy, unless you are racing for pinks. To compete with Italian, German, British and some Asian sportscars there is a need for more horsepower. Available Ford products are of no concern at this time. Corvette is competing on a global scale and cannot allow the brand to be second to any other manufacturer.